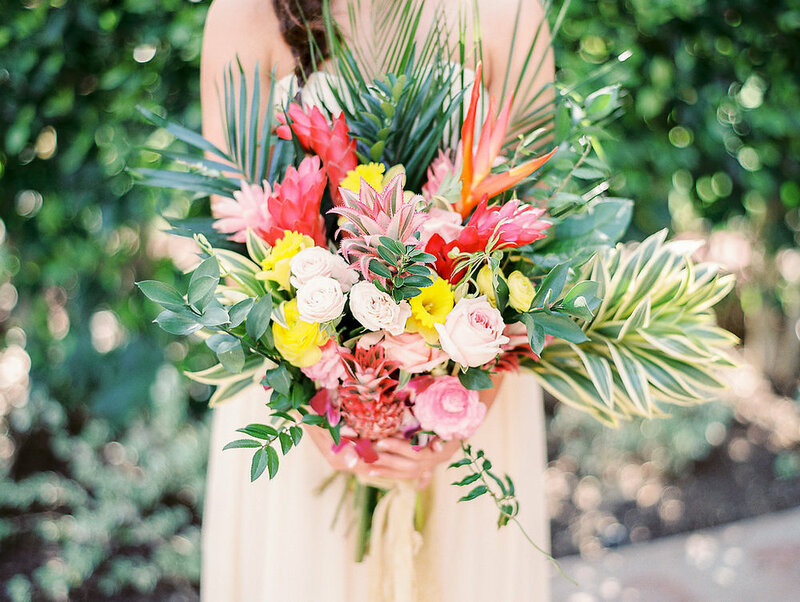 This shoot brings me straight to Hawaii with exotic florals, lush greenery and lots of pineapple! 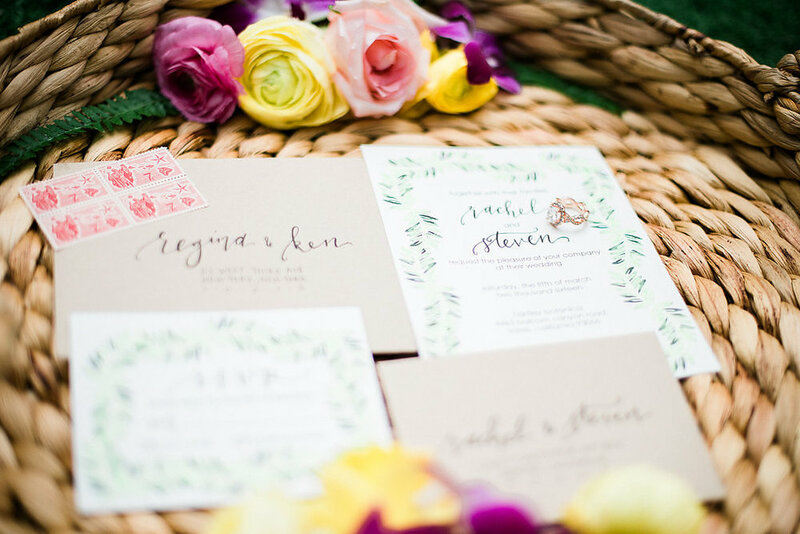 Angelica Chang Photography did an amazing job capturing the essence of the tropics while being timeless and classic for any summer wedding. 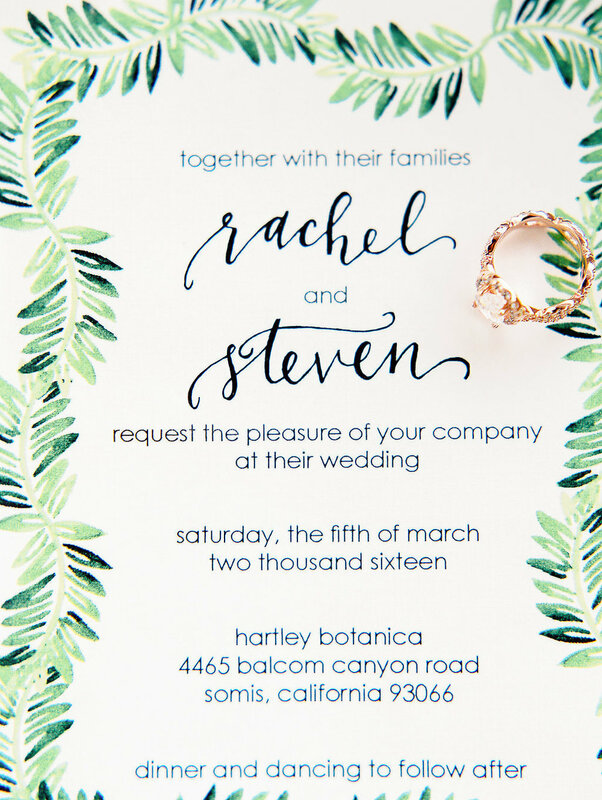 I watercolored some tropical greenery and created a casual invitation suite perfect for this vision. 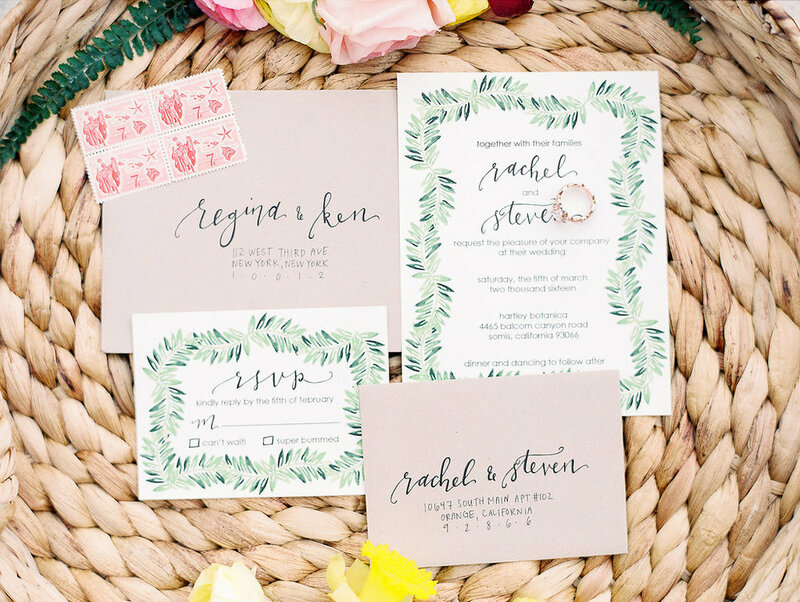 I kept it simple using kraft envelopes and black ink and it pairs perfectly with the gorgeous blooms by Florals by Isabelle. See the whole thing up on Ruffled, HERE!